Choosing the right training shoes for the activity you are doing is very important. Shoes for long distance running are very different from the shoes you would wear to the gym or for dance classes. Here’s a handy guide to follow. And the best color choice to lengthen your legs? Go with a swish pair of black trainers with vibrant laces. There is nothing more leg lengthening at the gym than a pair of black leggings teamed with black trainers. White ones are just going to break up that line and make you look shorter. We know that heading to the gym isn’t about being in a fashion show. But let’s not forget that there are still a lot of mirrors in there! Making sure you look your best while working out can help boost your confidence and give you that much-needed motivation to keep going. Plus, if you’re on the dating scene, who knows who you might meet. And quite frankly worn out dirty gray joggers and a Minnie Mouse t-shirt just aren’t going to cut it. Below are some ideas on how to look effortlessly stylish while working out. Going to the gym might be all about working up a sweat, but that doesn’t mean we want to see those sweat patches too. Avoid cotton, and choose breathable materials such as nylon, spandex, and polyester. And don’t forget that choosing the right fabrics can also help with the efficiency of your workout. Bamboo fabric is moisture-wicking and regulates your temperature. Nylon dries fast and is mildew resistant, and polyester is lightweight and non-absorbent. Choose workout gear that is fitted and has a splash of color, so you always look super stylish while working up a sweat. Most people like to listen to music while they’re working out. But that doesn’t necessarily mean they want to listen to the music choice of the gym owner. So always make sure you’ve got a good selection of upbeat workout tunes stored on your phone. And make sure to invest in some wireless Bluetooth earbuds. Get the lowdown on the best choices over on Dextro Audio. There’s nothing less chic than seeing someone tangled up in a load of wires on the treadmill. Make like a pro and go wireless. Beetroot red and dripping in sweat isn’t a cool look when you want to look like you’re sailing through your gym session. Invest in the Endura Cool Instant Cooling Towel for the ultimate refreshing feel. Simply wet, wring and snap this chemical-free towel, and it automatically cools to 30 degrees below your average body temperature. And it stays super cool for up to two hours. And then to cool it down again all you need to do is re-wet it to reactivate it. A nifty little accessory! Makeup really is a no-no when you hit the gym. 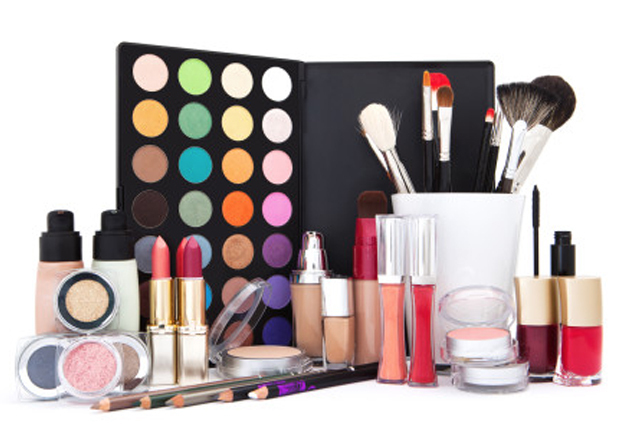 Makeup will clog your pores while working out and can cause breakouts. Before going to the gym cleanse your skin with a disposable wipe. And then just add a rosy pink lip stain and a coat of mascara. Once you start exercising your skin will get a nice glow anyway.